Jake was born in London and recently moved to Manchester to study a songwriting degree in order to pursue his music career. He had an ear for music from a young age and began to play guitar from the age of 6 and went on to write his own songs when he was 12. His influences stem from the likes of The Beatles, James Taylor, Don Mclean, Jake Bugg and Paul Simon which can be heard through the musicality of his own song. In July 2015 Jake was one of the winners at the finals of Blastbeat at the Blackthorn Music Festival in Cheshire. He has played many local gigs in pubs and festivals and has an ever-growing fan base. 2019 is set to be a huge year for Jake with live performance and new release scheduled. An artist who has his sights firmly fixed on mainstream appeal, Diives’ flair for combining sing-along choruses with angst driven lyrics has drawn comparisons with Jamie T, The Streets and Catfish And The Bottlemen – with influences ranging from Plan B, Foals, Deftones, Nirvana and Arcade Fire. 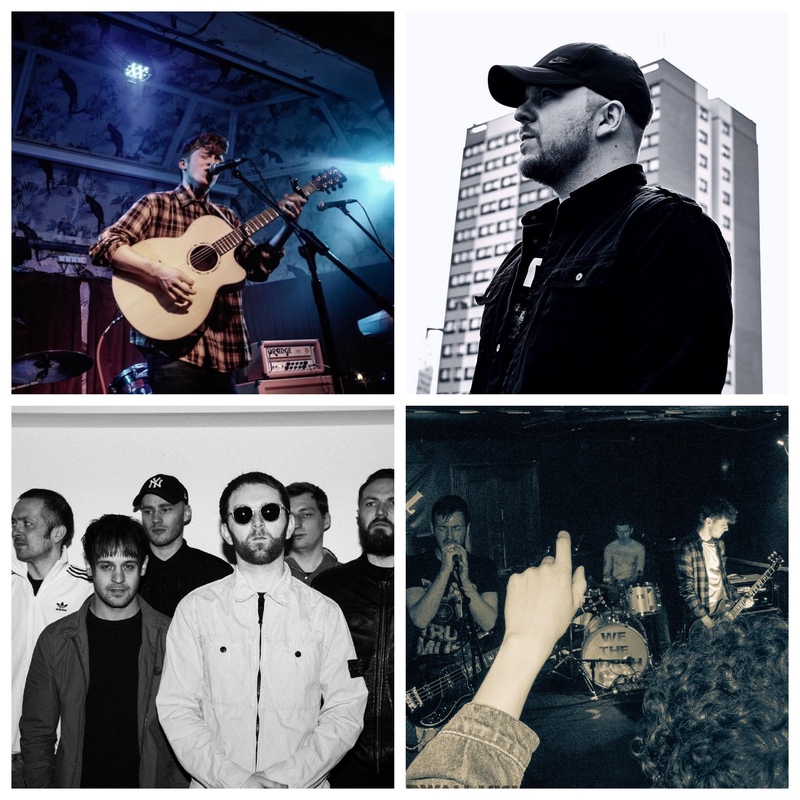 Hailing from the North East of England, Acid/Indie/Alt Rock sextet White Collar Rebel were brought together by singer/songwriter Sean Hainey in 2017. Raw vocals, colossal riffs, and vintage vibes will no doubt leave you wondering where they’ve been all of this time. We The North are an originals hard rock / dirty rock that play loud, honest and emotional music.